Here at The Game Crafter we have several options to make the custom dice you need. NOTE: If you are looking to make a regular D6 with all the pips except for the 6th side, you will need to create and upload images for all sides of the die (including images of the sides with pips). These dice come to us completely blank, without any images or pips on them. This means that you will need to load images for all sides of the die into our system. You can find more information about Dice Stickers and how to get them here. 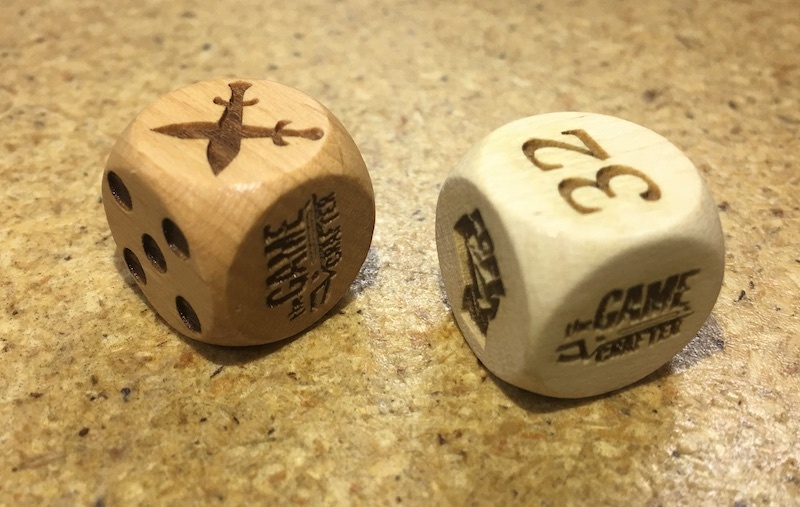 You can find more information about Engraved Dice and how to get them here. 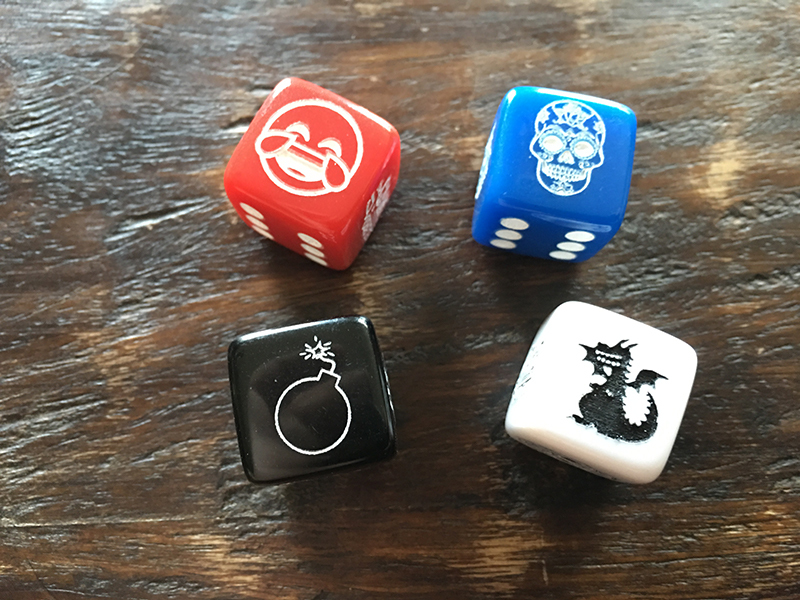 You can find more information about Custom Printed Dice and how to get them here.